Well, this year I have been trying to integrate more tech into my lessons, which has been a challenge to say the least. After attending the Newseum and Annenberg Learner conference I was really inspired to try to get my students to use technology as much as possible. That being said, I have been having trouble competing with my peers to get computers. This time of year has been full of testing in all of our computer labs and the laptop carts have been highly coveted, between English working on essay/thesis writing and other teachers trying to get their projects in. At this point there just isn’t enough computers, but there is some light at the end of the tunnel since MCPS has begun their Google experiment with Chromebooks and the Google suite. I am a little frustrated by the slowness because I will be one of the last on the list to get a Chromebook set for my classes, but at least the devices are coming sooner rather than later. I know I just need to be patient. They are coming. So to make do with the technology that I have been able to use I created a lesson to start my students off for the school year that I thought might be kind of fun. 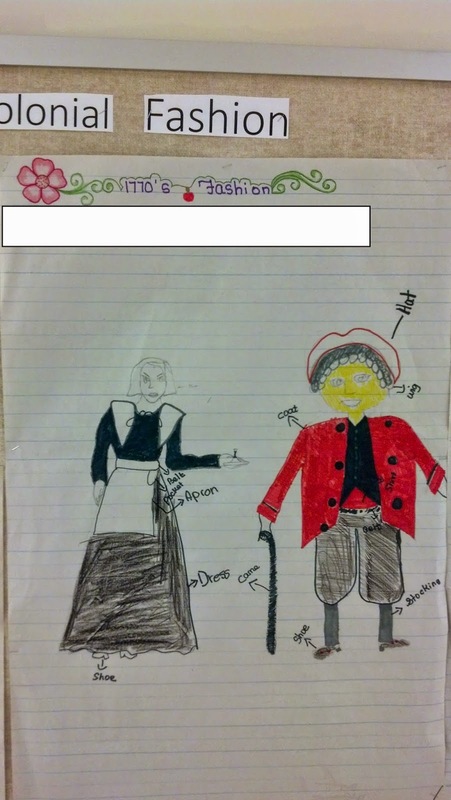 For years, I have been trying to figure out a way to introduce the topic of colonialism to my students. 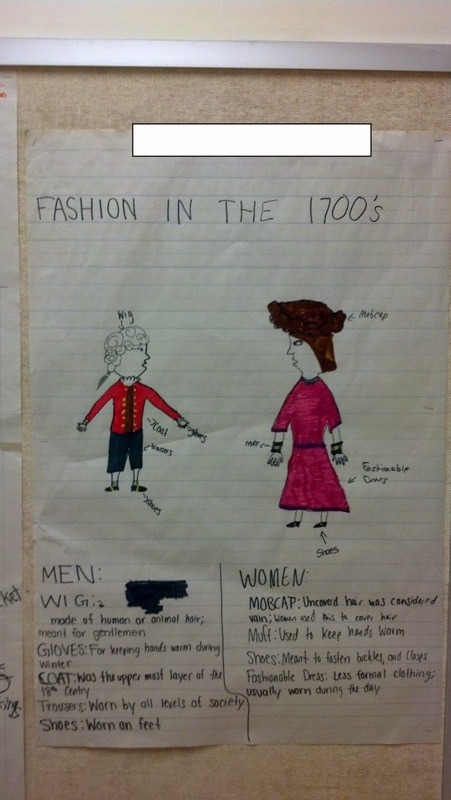 The curriculum that I am supposed to use does not really make a reference to the people who were alive during the colonial era and I usually felt around week four that I was playing catch-up trying to explain what they looked like, why they wore the clothes they did, and why, oh, why men were walking around in powdered wigs. 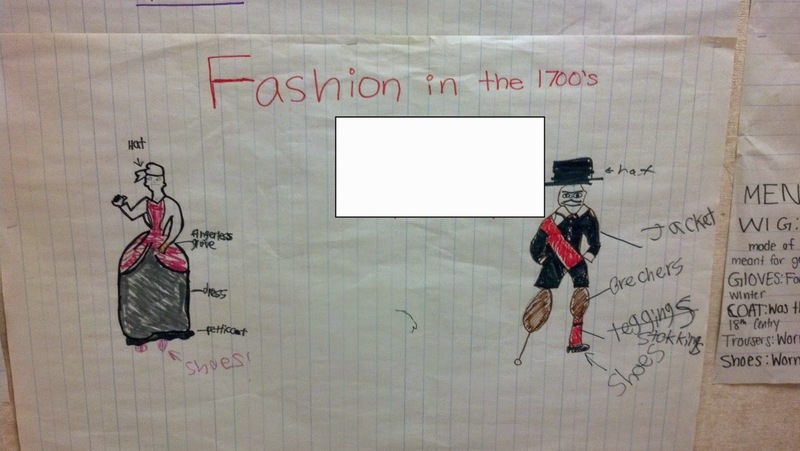 Have you ever seen a person who has been wearing colonial clothing? If so, what kinds of pieces might they have been wearing? 1. Explain to students the importance of using the computers, how to have a positive discussion with one another, and explain that each group will be getting only one computer to work. Part of my goal is to build social skills that will help me throughout the year. I also explain that each group is supposed to work together and share the computer. This year I have gone total collaboration with the students in groups of four and in this exercise by only using one computer it forces them to talk with each other about what they see. (I plan to write a post about how this is going. So far, my student’s grades are higher than I have had in years past. The real test will be the final exam from the county though.) Once I have gone through the nitty-gritty stuff I let one person from each group grab a laptop and we begin the lesson. 2. I created an organizer that had the entire body for notes. One that had the man on one side and the woman on the other. They basically had to go from head to toe describing the type of clothing they would wear on each part. For my Comprehensive students I told them they only had to put at least two thing for each part of the body. This took basically the entire period for them to complete on day one. I gave them time on day two and most finished about half-way through the period. 4. 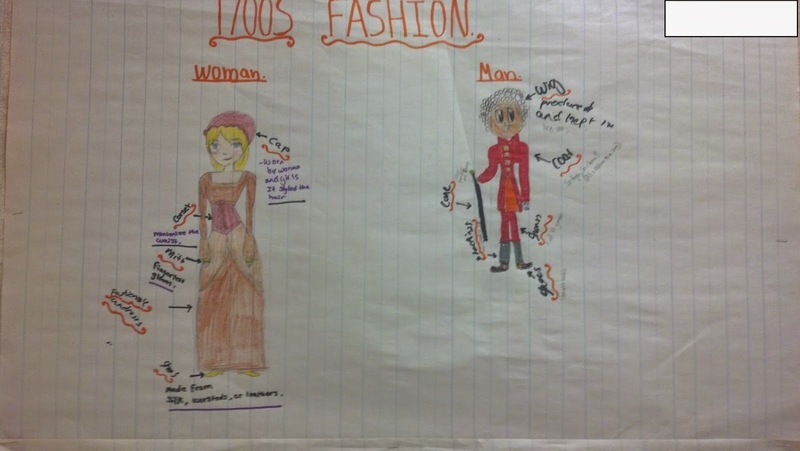 The students then began work as a group on designing a fashion design for a man and woman. The groups labored over their creations and the groups that I had set from the beginning helped each person contribute in some way. Some kids drew, some wrote the labels, and others designed the title. I didn’t assign any group jobs and instead I let them hash out what they needed, with the expectation that if I came and asked what they did each could point to something. The results were a finished product that was completed in every group and most ended up with a great grade. 5. I also talked about time management, especially for my advanced kids who need to make everything perfect. 6. I now have posted in the hall some of my favorites and the kids have been talking about them while they wait to enter the room for English class! I took some pictures for you all. This assignment went very well. Each student was engaged and contributing to the group in their own way. I ended up with many questions about the clothes and exasperated students who could not believe that someone would wear all of those clothes every single day. The question, “wouldn’t they be hot and uncomfortable?” helped me launch into the topic of the Mini Ice Age. The amount of stuff I was able to cover and the amount of curiosity I was able to bring out in the students in week two was remarkable. I plan on doing this one again from here on out. Feel free to steal and pass this around. 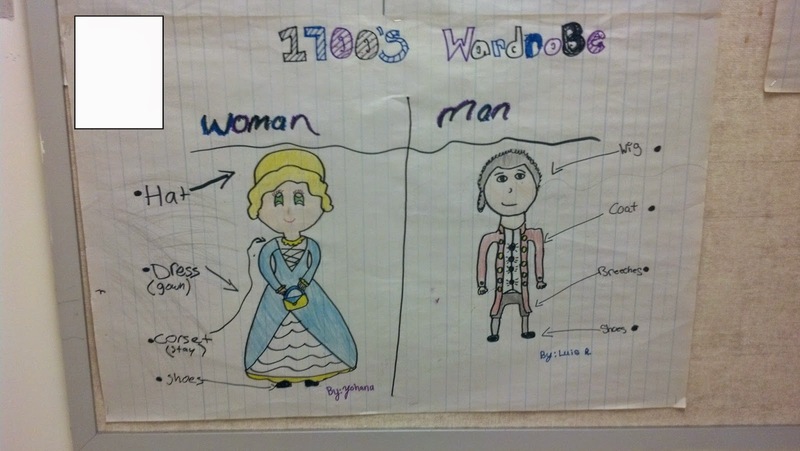 Just let your kids and colleagues know that some teacher in Maryland created this one.